In April of 1992 Glenn T. Smith saw the need for a tractor and engine club to serve Northwest Arkansas, Southwest Missouri, and Northeast Oklahoma. He enlisted the support of a couple of like-minded friends. About fifty letters were sent out to interested parties, and on May 8, 1992, thirty people showed up for the first meeting. Tired Iron of the Ozarks was born that night with twenty-four people joining up. Glenn thought fifty would be a big total number, but by the end of that first year, 135 people had joined. Tired Iron soon became Branch 37 of EDGE&TA. Glenn was the first president. He served four years during these formative years of the club. In 2011 he returned for a two year period as president. 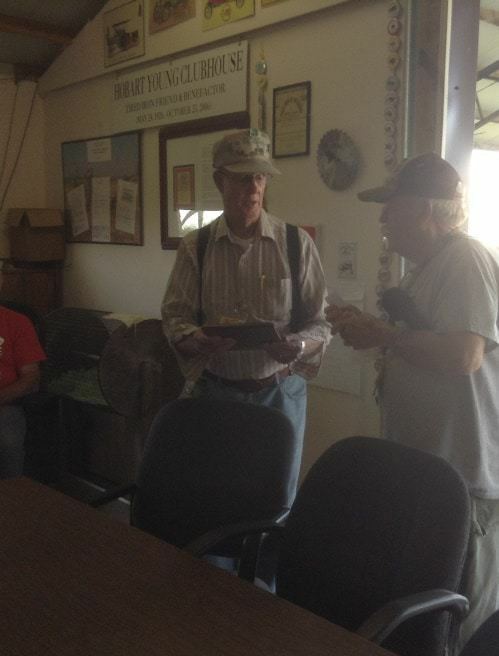 Glenn and his wife have bought and sold many tractors and a few engines over the years. At one time they bought a 1913 fifty-horse power Case steam tractor. They kept it three years—it now resides in Georgia. The tractor Glenn has held on to is a John Deere AR that Glenn’s dad bought new in 1951. Glenn recalls that his dad “turned him loose” on the AR when he was about thirteen to help out with the farming while his dad ran a machine shop. 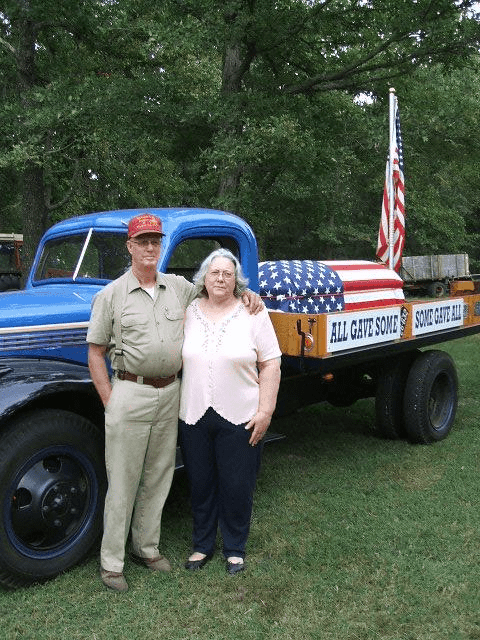 The Smiths have a restored 1945 Chevrolet two-ton truck that honors our fallen veterans. A flag draped casket rests on the bed of the truck. The truck has been shown at many festivals and parades. The old truck has an actual mileage of 3,200 on the odometer at the time of restoration. Glenn’s current restoration project is an Allis Chalmers G with a four-row cultivator. Glenn was willed a priceless collection of precious handmade models of yesteryear’s machinery by a member of Tired Iron. Glenn continues to display the machines, which include and intricate scale model of a threshing machine. In short, Tired Iron of the Ozarks would not exist without the work of Glenn Smith. He is a great example of one who makes tractor clubs and EDGE&TA work.